High above the residential northern shores of the Clyde is a strip of sandstone geology outcropping all the way to Craigmaddie Muir in the east. It lies hidden under a mossy understorey mostly, and varies in consistency and quality, but was once the attention of neolithic archaeologists, until they had to bury what is one of Scotland's greatest rock-art sites.The 'Cochno Stone' was uncovered by the Rev James Harvey in 1887 on open land near what is now the Faifley housing estate. It is covered with dozens of cup and ring marks, grooved spirals, along with a ringed cross and a pair of four-toed feet. 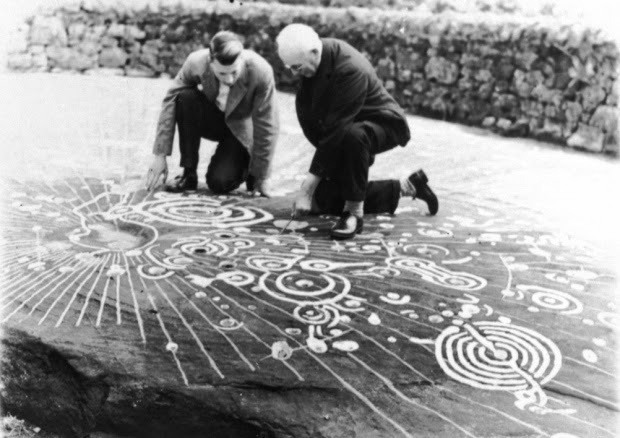 It was briefly a chalked-in tourist attraction until it was buried to prevent vandalism in 1964. The Cochno Stones, as I call them, are nearby crags and blocs at Auchnacraig car-park which have seen the light after a rhododendron cull. Under their mossy garb are various gritstone-like problems complete with embedded river pebbles from an ancient flood. Drying out nicely and desperate for traffic, they sit at the entrance to Auchnacraig House by the car-park for the Faifley walks. Take a brush and go make some modern rock-art! 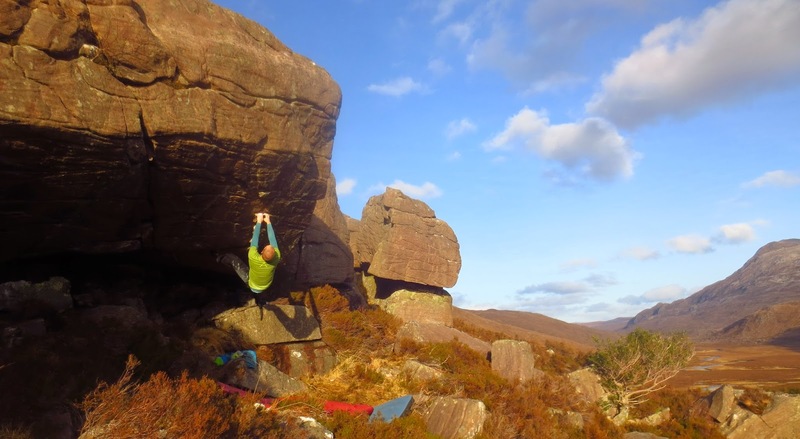 Dan Varian visits Glen Nevis and confirms two hard lines by climbing them and filming them, no edits, no doubt... the first is 7c+ and the second the amazing arete of the Cameron Stone at 8a+. Cochno Prow from John Watson on Vimeo. 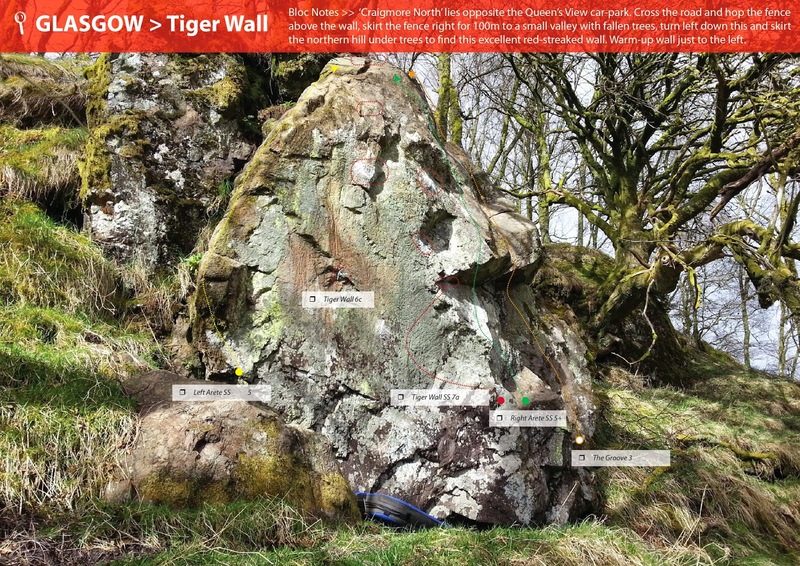 Craigmore north tiger wall from John Watson on Vimeo. As the forestry is gradually being cropped round Arrochar, dozens of new stones are appearing. Luckily, after decades in the pine-dark gloom, they are silvery and clean, and require little gardening. 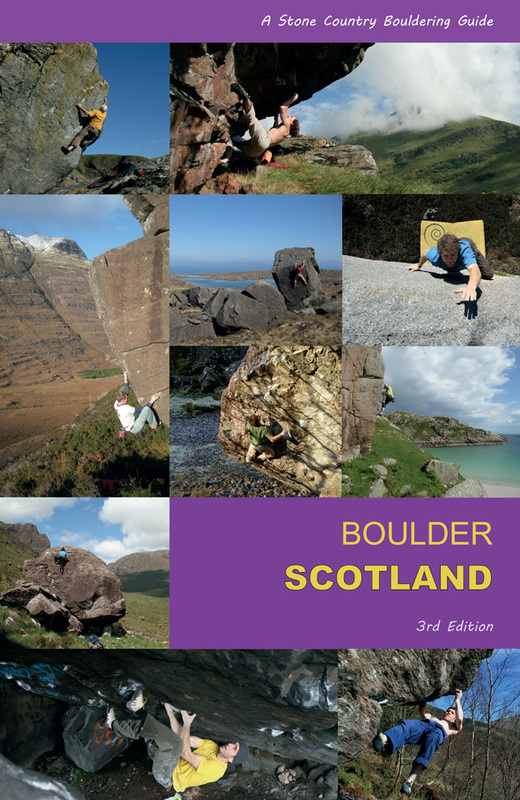 Topos for the new stones will appear in the new Bouldering in Scotland guide, hopefully with all the other new areas, though venues are being opened faster than I can map them! The Creagh Dhu always said there was 'another Craigmore' at Carbeth, but I never found anything other than the scrappy outcrops further east. I've scoured the whole west flank of the West Highland Way, giving it up as a typical red herring, until I found this little red-striped wall east of the Queen's View car-park. 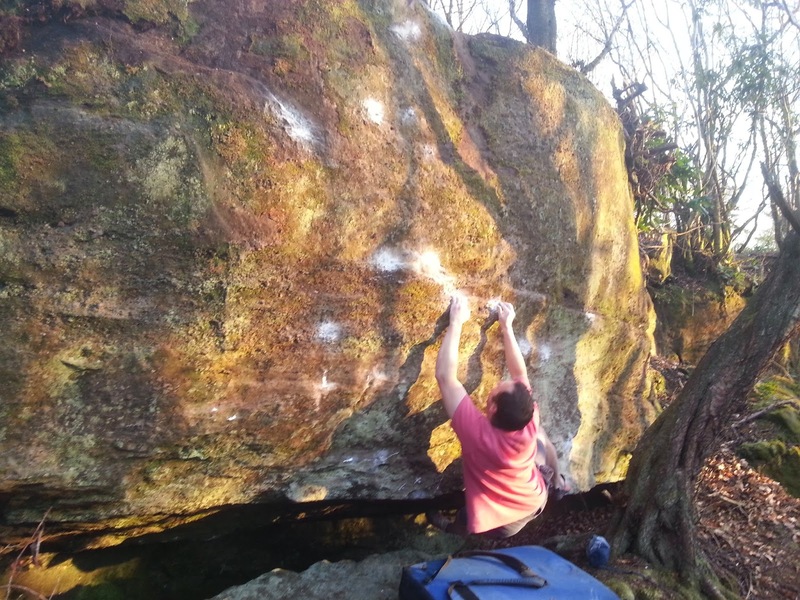 It gives a superb and slopey vertical test-piece we call Tiger Wall 7a from the sit and maybe 6c from the stand, if you get the conditions! 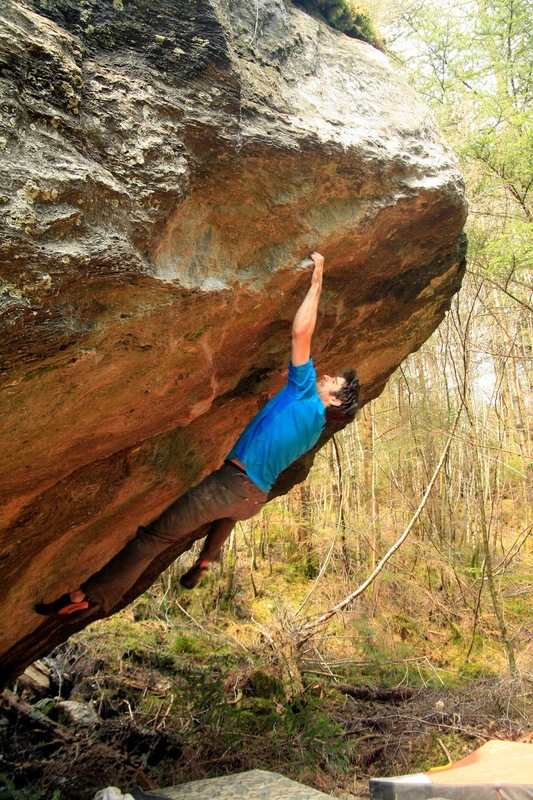 Dan Varian has been exploring Arrochar, and made short work, in a good spell of weather, of his project The Beast of Succoth, a new 8a at Glen Loin. 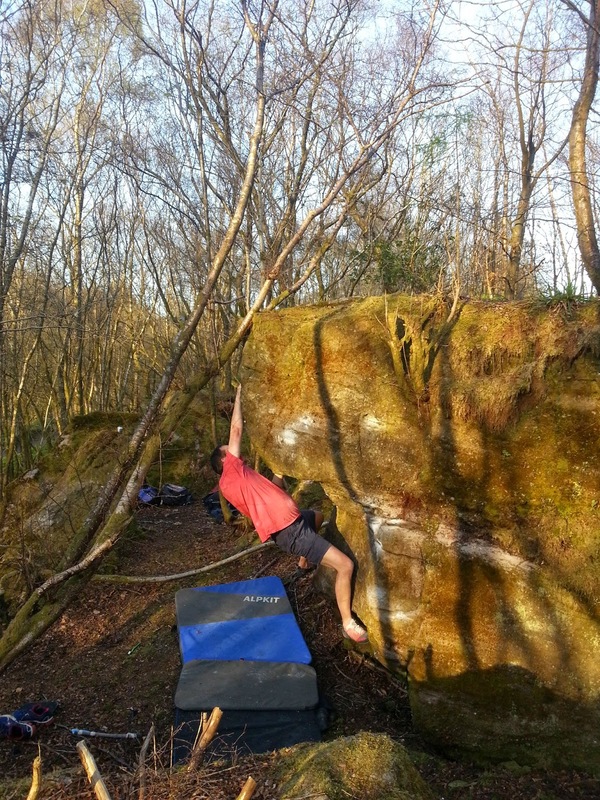 The Arrochar Caves area has always attracted boulderers but there were never any obvious king lines, perhaps we were looking in the wrong place! The hillside above the parking, up towards A Chrois, hides some awesome blocs and good rock under all the old moss and lichen. 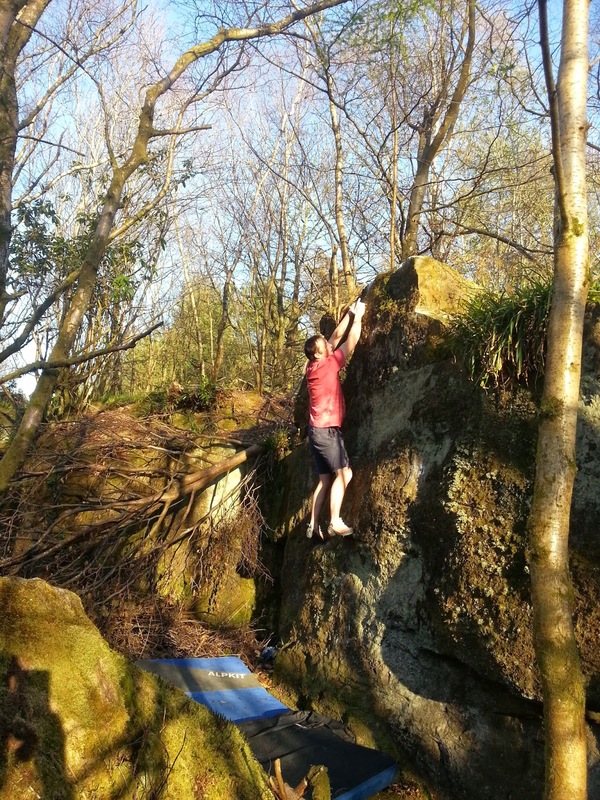 Nearby at Ben Vane, Tom Charles-Edwards has been meandering higher and higher looking for the perfect boulder. He climbed the obvious south groove line on the Dinosaur Egg bloc (above), calling it The Dragon's Eye is Always Watching, at a reachy 7b (SS). 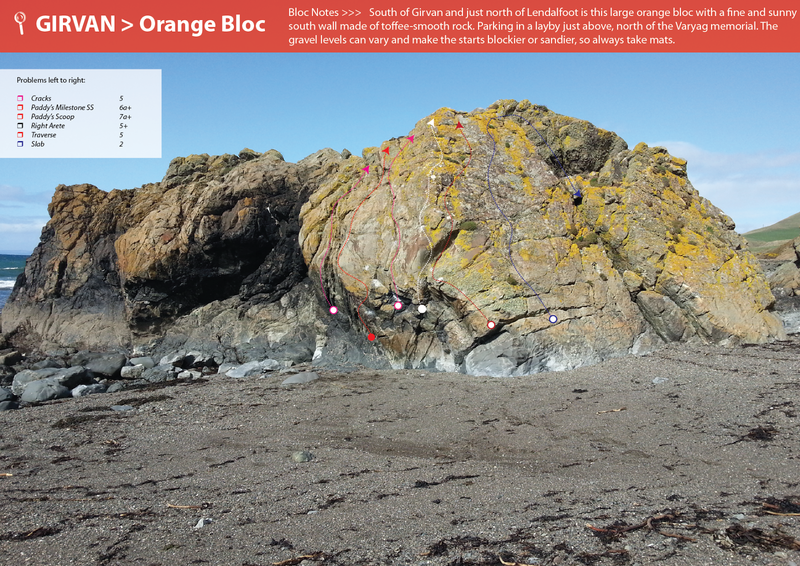 Girvan and Lendalfoot has benefitted from a fluke of nature as tidal gravel has filled in some awful rocky landings, so it's worth stopping off if you're on the Stranraer road, it's got a lot of potential but suffers a little from tidal damp, so choose a low tide with a drying westerly. Dave Redpath and Paul Savage and friends climbed here years ago and put up most of the obvious direct lines, so apologies if some of these are repetitive descriptions. 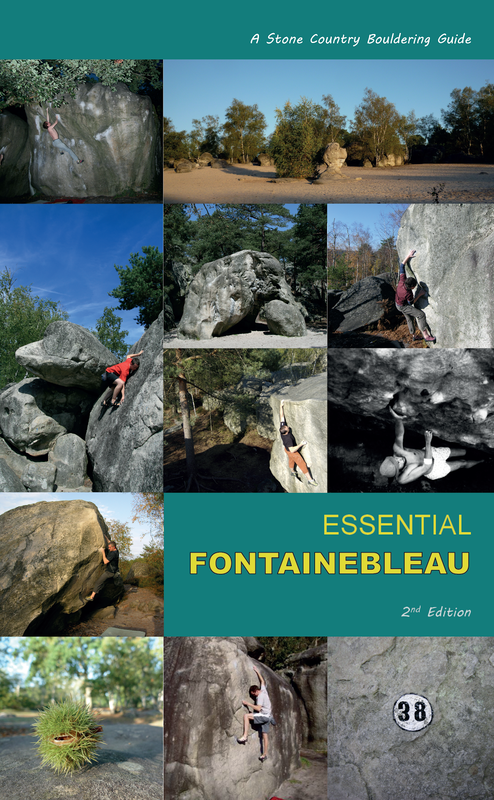 The bouldering is powerful and technical, with precision footwork required on sea-washed toe-holds. John Watson repeated some of the old lines on the toffee-textured south wall of the big orange bloc near the Varyag memorial. 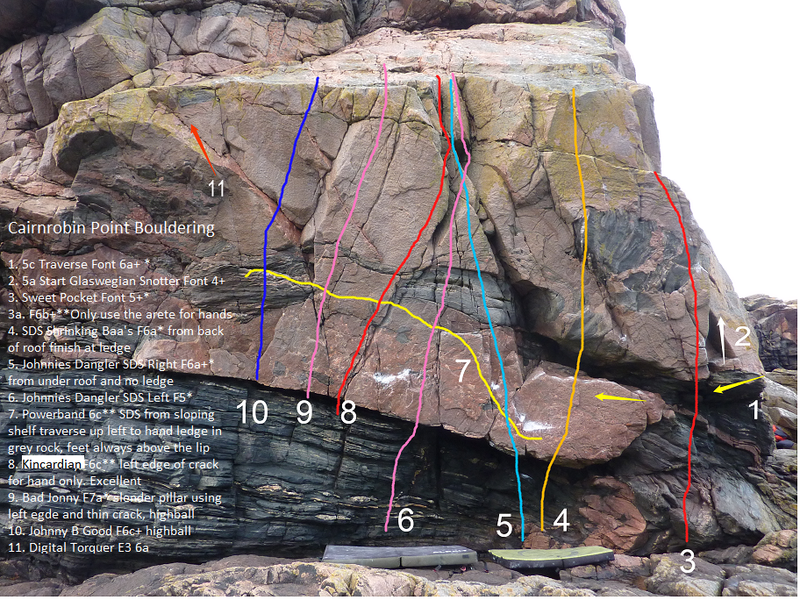 The pick of the bunch is Paddy's Milestone, the left arete of the south bulge.The Scoop problem is also a classic line with a technical sequence.